A home alarm system is a great tool that will enhance your home security plan. The alarm system needs to be activated at the keypad in order to be armed and ready. All windows and doors with sensors must be closed. Once you arm the system, you have about 60 seconds to exit your home. If you want to activate the system while you are going to be at home, you have to turn off the motion detector sensors. The motion detector sensors will pick up movement and set the system off unless you disable them. 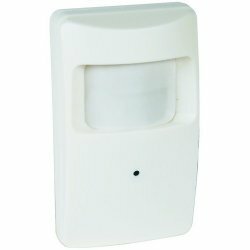 Security systems with motion detector equipment are activated by zones. Identify the zones you will be occupying and have the system bypass them. You can also choose to turn off all motion sensors. To disarm the system, you will need to enter your secret code. You will have approximately 40 seconds to turn the security system off. If your home alarm system accidentally goes off, you will need to enter your secret code and cancel the alarm. If it takes you over 40 seconds to do this, you will receive a call from your alarm system monitoring company. They will call you at the contact number you provided. If you don’t answer or give the correct code, they will notify local law enforcement authorities. You should check your alarm system weekly to be sure it is working properly. Read the owner’s manual for the home alarm system you purchased for exact details on your model. Check with your city to find out if an alarm permit is required. Most cities will charge you a fine for a false security alarm. Local law enforcement needs to reserve their resources for emergencies. It cost them time and money when they answer a false alarm. Take steps to prevent your alarm system from going off by mistake. Home security alarms should be combined with a number of other security measures to increase your level of home security. You should store valuables such as jewelry, cash and other valuable items in a sturdy safe. You can also store valuables in a safe deposit box. Many people prefer to have easy access to their valuables and purchase a safe. In the event of flooding or other natural disaster, you will have easy access to your valuables. It’s important that you store you safe in a secure location. Make sure it can’t easily be found. 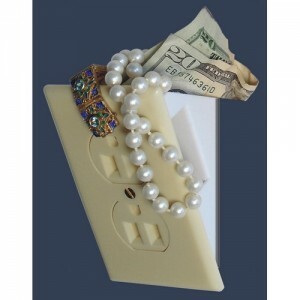 You can find small safes online that are made to blend in with other items. A good place for this type of safe is in your kitchen. Intruders rarely go into the kitchen when they break into a home. You’ll be amazed at the selections of quality safes found online. Safes that are inserted into your wall are not easily detectable. You can cover this type of safe with a picture and it will be completely hidden. Purchase a good safe that is fire resistant and waterproof. Many people leave large amounts of cash in their home. An experienced intruder will look for cash in drawers. Make sure your stash of cash is hidden in a safe. Most intruders want to enter and exit your home as quickly as possible. They will look for electronics, guns and jewelry. These items are easily sold at a pawn shop. Mark your electronics and other valuables with your driver’s license number. This is a good way to ensure the intruder can’t sell your items very easily. Tools are another favorite item for an intruder. Tools are easy to sell or trade on the black markets. Be sure any expensive tools you have are marked. Guns are yet another favorite for an intruder. Most people don’t store their guns in a locked gun cabinet. Store your guns in a locked cabinet or in your safe. Keep the ammunition stored separately from the gun cabinet. Intruders will look for guns in drawers, closets and other typical hiding places. Jewelry is a favorite of all intruders. Most people leave their expensive jewelry in an unlocked jewelry box. Expensive jewelry also lets an intruder know there may be other expensive items for the taking. The all-time favorite target for an intruder are electronics. Televisions, video recorders and computers are easily sold for quick cash. The intruder knows that most homes contain a lot of electronics. Improving your home security plan will help prevent an intruder from breaking into your home. You should be aware of the common items an intruder wants to steal. 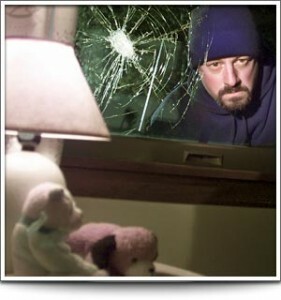 With this in mind, create a home security plan that makes it almost impossible for an intruder to break into your home. A good home security plan should be created by looking at your home through the eyes of the intruder. Identify the weak areas of your home by walking through both the inside and outside of your home. Take note of the popular items that an intruder would want to steal. Write down the areas that need improvement as you walk through. This exercise will help you identify the type of security plan you need to protect your home. Once you have identified the areas that need improvement, call a professional home security company and discuss a security plan. Most local home security companies can send a qualified security professional to your home for a security survey. This can help identify weak security areas that you may have missed. You can also research home security systems online. There are a wide range of home security products that you can add to your home alarm system. You’ll find wireless surveillance cameras with motion detecting equipment. There are also driveway monitors and security products designed for your garage. The garage is a favorite entry point for intruders. They can gain entry into the garage and work on breaking in without being seen from the street or alley. They will look for tools in the garage that will make it easier to break in the door that leads into your home. Garage doors with windows make it easy for the intruder to look through and see what’s inside. It is important that you include the garage in your overall home security plan. Get the whole family involved when creating your security plan. Teach your children how to lock the windows and doors of your home. Install the best locking system you can afford on your doors and windows. Entry doors should also be sturdy and made out of wood or steel. Add deadbolt locks for extra protection. If you have sliding glass doors, be sure they have a pin-type lock. These locks prevent the door from being slid open after the lock is broke. You can also install a rod or piece of wood in the sliding door’s channel. Keep your drapes closed to prevent an intruder from taking a look at your home’s contents. If they can look inside your windows and see the new big screen television, they may decide the reward is worth the risk. Install outdoor lighting that is controlled by motion detectors. These lights will only come on if it senses movement. You can also install inexpensive solar lights that won’t increase your utility bills. The landscaping should be trimmed on a regular basis. You don’t want to provide cover for an intruder. Intruders like the safety of cover. Lush landscaping is beautiful, but it could make it easier for an intruder to hide. If you want bushes near the windows and doors, plant the types that have thorns on them. This will prevent an intruder from using the windows to gain entry into your home. Make sure you have a peephole installed on your front door. Don’t answer the door without first checking to see who’s there. You can also install a video intercom system to communicate with visitors. Intruders know that a lot of people still hide their spare keys outside the front door. Never hide your keys anywhere near the entry doors. Leave a spare key with a trusted neighbor. Install a wireless alarm system to avoid the possibility of exposed wires being cut by an intruder. When you are planning a vacation, be sure to only tell a few trusted friends or neighbors. Don’t advertise your absence on social networking sites. You don’t know who may have access to the information. Wait until you return home to post vacation pictures. Make sure your home’s address numbers are clearly visible from the street. This will help law enforcement or emergency personnel find your home. Home security signs and stickers should be placed near the front and back doors of your home. Make sure it is clear to the potential intruder that your home is protected by an alarm system. Your alarm company should provide these to you. If they don’t, you can find these security signs and stickers online. Family dogs add a layer of security to your home, because they like to bark. If an intruder hears a dog barking, they will likely move on to another home. One thing intruders don’t like is noise. They want to be able to get inside and exit as quickly as possible. Small dogs are helpful because they bark continuously when a stranger approaches. A panic room can easily be installed in your home. They are also called safe rooms, because they provide a sense of safety within their reinforced walls. A panic room can offer the family a safe hiding place during natural disasters or potential intruders. These rooms are constructed with concrete and steel. You can choose to have a separate ventilation system, direct phone line to law enforcement and much more. Most people have an average panic room that is equipped with water, cellphone and a first aid kit. You can search online to find a contractor to build you a safe room. The prices range from inexpensive to very expensive. The cost will depend on how large you want the room to be. Some homeowners have a contractor fortify an interior closet. There are many choices when it comes to planning a safe room. Most families have a safe room built for possible extreme weather conditions. A safe room is the ideal place to stay during a tornado or significant weather event. A home fire is a potential threat to every homeowner. Fires can cause incredible damage to your home and property. Most alarm companies have fire sensors that go with the security system. Smoke and heat detectors should be monitored by the alarm company or fire department. Fire and smoke detectors do an excellent job of alerting family members when there is fire or smoke present. Make sure all family members know what to do in case of a fire. You should have a plan of exit for every family member. Choose a place to meet outside and practice your fire drills on a regular basis. You should have a fire extinguisher located in the kitchen. Consider installing a sprinkler system in your home. Some insurance companies will give you a discount rate, if your fire alarm is directly linked to the fire department. Consider installing motion detector security cameras on the outside of your home. If they are installed in key areas of the home, they do a great job of deterring crime. It’s best to consult a professional home security company to install these cameras. They are relatively inexpensive and will improve your security plan. They should be placed near the entry doors of your home and garage. You can also have sensors placed in the driveway or other areas of your home. The motion detectors work by sensing motion using passive infrared construction that monitors temperature. There are other forms of motion detectors that use radar systems or ultrasonic systems. 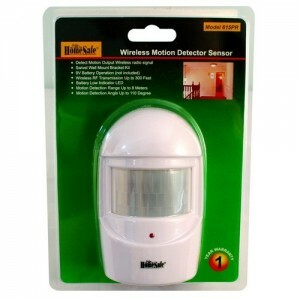 The basic motion detector system is easy to set up. To get the most out of the latest motion detector equipment, you should seek professional advice and installation. A security technician can advise you on which system will work best for your home security. If you have any questions or looking for further information, please do not hesitate to contact us. It is our pleasure to help you.